Infant twins Waylan Gerald and Lachlan James Jones, of Hillsborough passed away Tuesday, March 26,2019 at Duke University Medical Center. 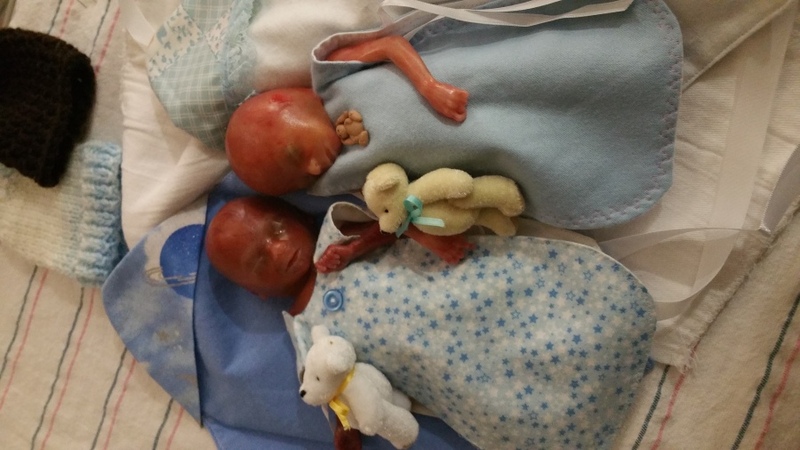 The twins are survived by their parents; Jacob Sean and Rubi Marianna Jones. Their brother Wyatt Jones. Maternal Grandparents; Juan and Anitra Navarro. Paternal Grandmother; Kimberly Mathis. Maternal Great Grandfather David Causey. Paternal Great Grandmother; Peggy Flynn. They were preceded in death by their Paternal Grandfather; James Sean Jones and Paternal great grandfather; James Flynn. Maternal Great grandmother; Ruby Causey. A graveside service will be held Friday, March 29, 2019 at 3:30 PM in the Central Baptist Church Cemetery. Officiating will be Rev. Mike Faust. McClure Funeral Home in Mebane is serving the Jones Family.